This Fiber Optic Patch Panel 48 Port 19″ 1U Rackmountable allows installation of 24 Duplex SC Adapters or 24pcs Quad LC fiber adapters. 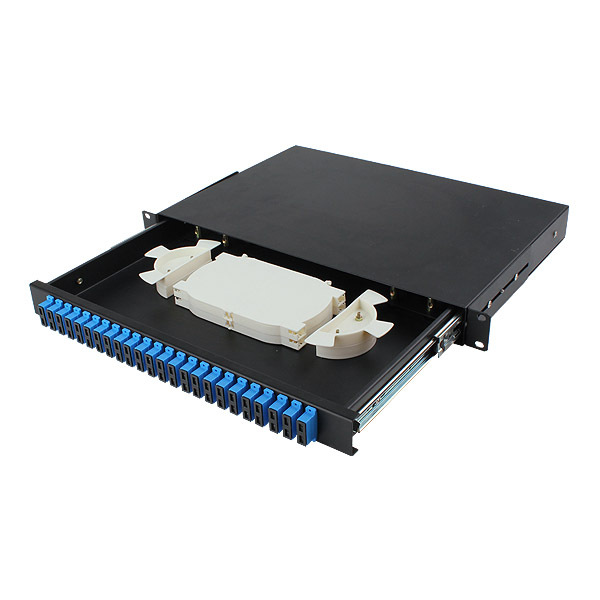 Fiber Optic Patch Panel 48 Port is a kind of high-density fiber optic patch panel in the cabinet. The big space in splice tray makes your cabling easy.